All true, and I use my iPad Pro in many/most of these ways, if not as fast it’s a great tool. At present though Apple is overselling it. Until it has a file management system that integrates into the typical workplace (aka a Microsoft world) and peripheral support like accessing data and transferring files from any old external storage, it isn’t there. Ditto with AirPlay. Useless for presentations as most conference rooms don’t have Apple tvs. You end up tethered like any laptop, except you have a dongle as well of course. Intergration with win10 wireless presentations systems would be handy. all these problems would be fixed with OS changes. Then it becomes the laptop killer. Apple is dedicated to security and privacy. Any sort of crack in the management of the file system opens the system up to malware. It’s a really tough compromise. Apple is making tiny innovations every year to increase convenience, but there is a reason they don’t just let us access any directories or plug in and access any storage device. Maybe. Security becomes pointless if it means the device isn’t useful though. Also, that sort of security is fixed at the network by security at the server end and the profile the workplace puts on the iOS device. At present access to the file system outside something like Citrix isnt even an option. It should be OS level. I suspect it is they don’t want to do it to iPhones for the reasons mentioned, but do not want to go to the step of an iPad OS to provide a file system to iPad either. In the end they just decided not to, and concentrated on hardware beauty and margin. Also I expect the biggest reason is they want you to use iCloud to store data instead of local servers. My workplace has a profile on iPads that prevent access to it. Which also means a lot of personal services also don’t work on it. I agree with the original post, love my 10.5 pro but the file management is a joke. Way harder than it needs to be. I use my iPad a lot both for work and leisure. But I use my Mac much, much more for work since it’s way better as I am far more productive. There are a ton of basic, simple things for which the iPad is really clunky. I could provide a reasonably large list, but let me mention just one: network printing. Colour me unimpressed by most of those videos. Especially the design your space one. for the price of these things (pro+pencil+folio) you would think they would have found some really unique use cases , but I don’t think they are there yet. Massive OS limitations plus durability and bend concerns have killed any notion I had of upgrading my Air2 this year. I really like my iPad Pro, but there are a lot of arbitrary restrictions that prevent it from being as useful for "real work" as it could be. It's a great note taking device, no doubt. But, if they can port iOS Apps to macOS for use with a mouse/trackpad, then they can certainly bring mouse/trackpad support over to iOS. In a related but different topic, it's very odd that keyboards aren't default enabled to control games. Also, there is clearly enough GPU horsepower and the OS capability to drive an external monitor, but it's done in such a clunky way right now. They really need to put a lot more effort in to making the iPads true laptop replacements if they want to keep pushing them as such. It's really frustrating that my ~$1,000 iPad setup can't do some really basic things that a ~$200 Chromebook can. Based on these commercials, Apple should make the iPad a landscape device by default. ;j Apple logo should be turned 90° and front sensors should be on the long side. I basically use my 10.5 in landscape 90% of the time. Only time it is in portrait is for reading comics. I really love my 10.5 LTE. It’s the primary reason I kept my 6S Plus instead of getting a XS, and I’m thinking about getting a 2019 iPad Pro after only two years with the 10.5, which is crazy. As a personal computing device, it is my favorite. Just waiting now for Apple to implement enough features and it can likely replace my MBP for work. Terminal access, files management for tens of thousands of files, extended display support, and keyboard optimizations. The first commercial is a good one. Apple really should push iPads as devices for students and note taking heavy workflows. It’s a computing device where people can take notes with a writing device and keep on pushing that this is a better way than taking notes with a keyboard. Pound the message. And you guys already know that I think hardware keyboard accessories are crutches, not aids. Continue optimising that software keyboard. I write notes and scan and take photos with my iPad Pro. It is how I use my iPad other than consuming media. It might evolve into a competitive, standalone device in about two years. Once they make a 15” model, I will switch completely. In the meantime, MacBook it is. Linux is safe too and they expose a normal file system. macOS simularly. You need to explicitly want to screw things up to ruin your filesystem but the security remains intact. iOS is based on the same foundations but they simply expose the file system to the user differently. Apple’s choice for the current implementation was not based on security concerns, but ease of use. It is based on an app container/sandboxes metaphor, so the end user isn’t confronted with folders and complex structures. The idea worked, but as people started to become more tech savvy, it became a blocker and not an enabler. This ridiculous file system needs to go, we need a real one. And that one can still be based on hiding OS level stuff, that’s easy. MacBooks prove that your theory is rationalization rather than logic. Yes, Apple, we knew all that... You are glossing over the rather arbitrary limits and restrictions you have placed on iPads and pushing capabilities that have been there for years. -- MacBook Air -- used mostly for video type stuff and/or while sitting on the coach browsing..
-- Lenovo Thinkpad(s) -- used far more than both the iPad and MacBook combined -- mostly for things involving typing because of their superior keyboards and trackpads with left and right buttons. Apple needs to step away from telling us: "This is the work you will do and how you will do it": There are too many better options. 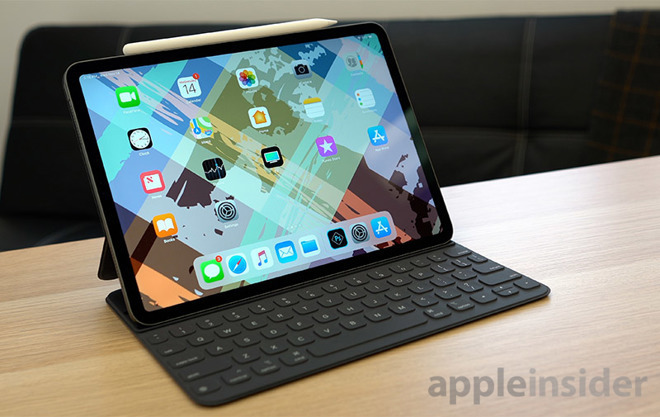 For the iPad, you could start, as many have mentioned, by giving it a more powerful OS and a mouse/trackpad controlled cursor. The limitations of the iPad are self-imposed design restrictions rather than technical limitations. I love what is now possible on an iPad however most people have a MacBook as well to offset their iPad’s limitations. I use my iPad Air 2 every day and would never ever replace it with an Android, Surface or a Windows 10 junk. When I need better file management, I use my MacBook Air. The complainers wanting better integration into a Windows environment should think about abandoning inferior products and going all Apple. Many companies are doing that and are significantly reducing their long term IT expenses as a result. I played around with an iPad Pro last week and really loved it. The device is so sleek and is possibly the best iteration of a tablet yet. Apple should probably have a small LCD/ OLED screen at the back with an Apple Logo that changes its orientation to match the device's orientation.